The New York Times has stated it will be focusing on mobile to accomplish the huge (and rather optimistic) feat of doubling its digital revenue from last year’s figure of $400 million (a figure that includes revenue from advertising as well as subscriptions) over the next four years. This is proof that the advent of the smartphone and its subsequent total saturation in the modern world has been a digital game changer. It has arguably played the biggest part in transforming the media landscape into what it has now become. And I’m sure the Times would agree. In early 2015, The Times reached a milestone of over one million digital subscribers. CEO Mark Thompson said that ‘The next million must be fought for and won over with The Times on their phones… over the next few years, the battle is going to be won or lost on smartphones.’ Last year also saw The Times print ad revenues drop by 13% in the second quarter, providing further insight into why mobile will play such a huge role in their business model moving forward. The most pressing challenge the Times currently faces is demonstrating their business is up to the task of adapting to a digital landscape. They are aware that their ‘organization was built for the print era and now must be redesigned for the mobile era.’ It’s not just about providing the same content on the mobile device; it’s about transforming the product experience so that it becomes an integral part of readers’ lives. And the best way to meet such an end is through mobile. As the memo explains: ‘Our readers increasingly expect their experience on our website and apps to be responsive to their individual interests and needs. We are shifting from a pure broadcast model to develop one-to-one relationships with readers that tailor the way they experience our content while still retaining our unique editorial judgment in setting the day’s agenda. What they are doing is essentially trying to reimagine many aspects of The Times as it stands in the mobile era, putting in the same vigor and creativity that went into the process back in the 70s. Forty percent of The Times mobile audience is under 35 years old, and they’ve realized that moving forward, this is the market that will continue to grow and evolve, not just embracing but demanding new and exciting ways to access news and entertainment. There’s nothing overly prescient about this sort of thinking. 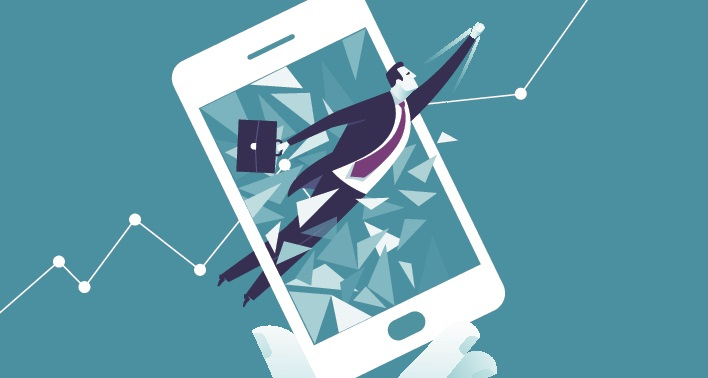 The mobile platform isn’t just growing, but constantly evolving. It’s no longer only about print and digital media; it’s about print media, digital media, and mobile media, respectively. Making such a distinction is necessary for any business looking to make the most of this new digital landscape, ensuring they don’t get left behind. Most businesses, however, aren’t The Times, and so don’t have the same access to resources. Nevertheless, The Times has lot to teach all businesses about the future of the media, and the way in which consumers are responding to it. The social landscape as a whole is being digitized, with a focus on mobile. The times are changing. The shift is surfacing. And it’s all happening now.